This listing is for 180+ yards of thick cotton twine in a fun twist of blue, turquoise, gray and white. 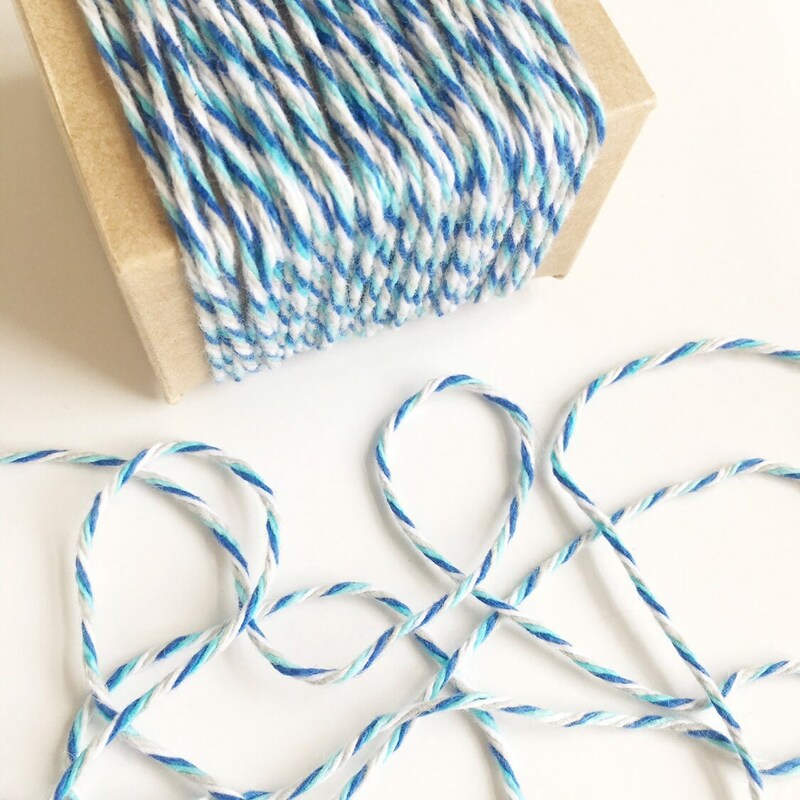 This twine is much thicker than regular baker's twine and perfect for crafting, gift wrapping, parties, weddings, product packaging, scrapbooking and more. It's eco-friendly, biodegradable and 100% cotton. Thick cotton twine measures approximately 3mm wide, some colors slightly less. IMPORTANT: Twine will arrive on a cardstock spool or in a mini skein depending on quantities purchased. This is a stock photo of this listing. You will receive twine that looks identical to that pictured. If ordering multiple listings, twine will arrive in quantities of 10-25 yards. Please allow for color differences on your computer screen. Beautiful strings great colors and perfect description. Love the thickness. Thanks!!!! !